Aaron Maegly House | Historic Jacksonville, Inc.
Aaron Maegly arrived in Jacksonville sometime after 1880 where he became the chief clerk in prominent merchant Gustav Karewski’s hardware store. By 1884 he was a partner in Bilger and Maegly, one of the 3 largest local manufacturers of agricultural machinery and implements, a competitor to Karewski. Two years later Maegly had established his own business, A.H. Maegly and Company, dealing in stoves, tinware, hardware, and agricultural implements. In 1885 Maegly married Cecelia Levy, Karewski’s stepdaughter from his marriage with Joanna Levy. The young couple occupied the Jacksonville house at the corner of 6th and D streets, which Karewski and Maegly had built as a rental. 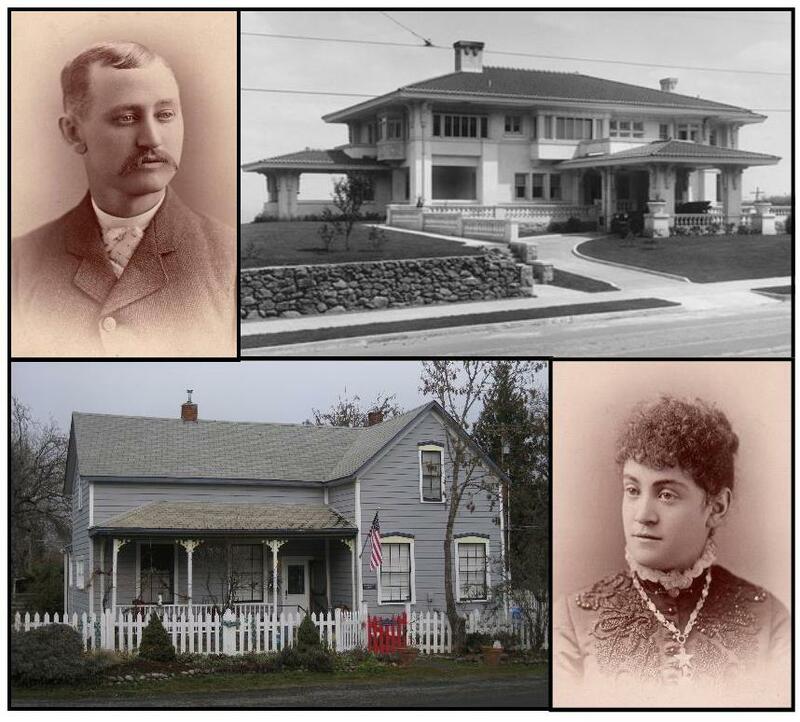 Around 1890, the Maeglys moved to Portland where Aaron became a very successful real estate and mortgage broker. Their mansion in Portland’s Arlington Heights is on the National Historic Landmark Register. Cecelia retained ownership of the Jacksonville property until 1931.